I am a massively enthusiastic (amateur) photographer - and I love taking pictures of my little one. In fact, my in-laws often joke she is the most photographed baby on the planet. 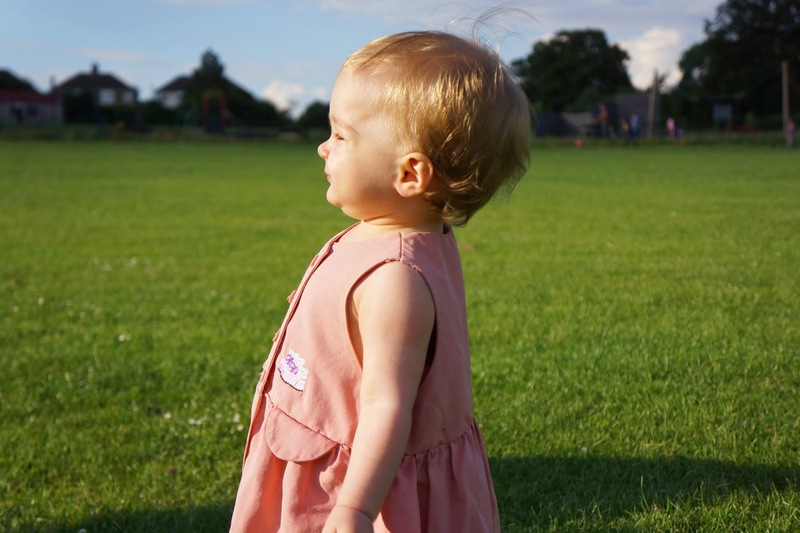 I don't know about that, but after nearly a year and a half there are some key things that I've learnt that can help you to take better pictures of your child. So here are my top ten tips on how to take great photographs of your kids. The first nine tips are for any camera - point and shoots, SLR's or even iPhones or other camera phones. The last tip is better suited for SLR's or more advanced point-and-shoots. I've dotted some of my favourite pictures on this post, trying to illustrate the key points in visual form as well. 1. Natural light, and lots of it. Go out, or take pictures near a window. If you want to have a great photo, natural light enables you to capture colours much more accurately and gives depth to the picture. Additionally, kids are super-fast and having lots of natural light will enable your camera to perform much better. Because kids move a lot, pictures taken in poor light conditions often end up blurry, so it is important to try to take pictures when there is lots of light. In terms of natural light, it doesn't have to be a sunny day or midday. In fact, pictures taken on a cloudy day enable the light to diffuse beautifully, and pictures an hour before the sunset can have this magical warm glow to them, both much better than harsh daytime light. 2. Get down on their level. Many parents take pictures of their kids from where they stand - so you always get the same viewpoint, about a meter above their kids, looking down. Booooring. Get down to their level to take pictures straight on. If they are babies busy doing their tummy time, get on your tummy. Get on your knees, lie down on the ground, crouch, bend down, what ever it takes to take that wonderful, engaged shot of your child. Getting down on their level enables you also to appreciate their surroundings much more and think about the composition and background in the picture. That means try everything to get them into the mood. If you want them to smile, blow raspberries, make funny faces, dance around, sing songs, make yourself feel silly and everyone else around you think you are crazy. Because if that is what it takes to get that money shot of your kids smiling, then it is worth it. If you want your child to look at the camera, you might like to use a toy or a hand puppet to catch their attention. Another tip I once got from a professional kiddy fashion photographer was a candy necklace - apparently kids practically run to you! You don't always have to have them looking at the camera. Sometimes it is lovely to just let them play, let them forget all about the camera, and when they are engrossed in something, just take a few snaps. Show them at play, or the way they interact with other kids. This can enable you to take beautiful documentary style pictures. 5. Make sure they are well-fed, well-rested and in a good mood. 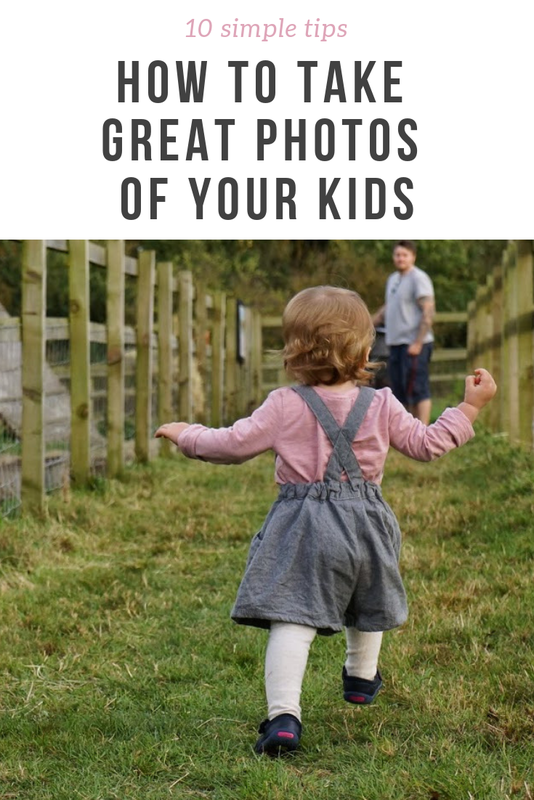 This goes without saying, but trying to take pictures of your kid at the wrong time is a miserable experience for everyone involved. Early mornings or right after nap-time work the best in our household, but you know your child the best - just choose the times when they are at their most alert and in their best moods. 6. Take pictures even if they throw a stroppy fit, or look serious. Because face it, kids aren't always smiley and they aren't always happy. It is quite cute to look at those stroppy fits in pictures later on. If I am taking pictures of my little one, and she gets annoyed or starts crying, I might take just one or two of her in that state. Not because I am cruel, but because it accurately reflects what kids are like - not always full of beans. Additionally, some of my favourite pictures of my little one are when she has this contemplative, serious look on her face. It makes her look natural, and the pictures non-contrived. Like they are just snap shots of the real her. Try it! 7. Think about the composition and background. Avoid placing your child in the center of the image. Use the rule of thirds, so draw imaginary lines, splitting the image into thirds along horizontal and vertical lines (3x3), and placing them in these imaginary intersections. When doing this, try to think about what else is in the picture. For example, are they running towards something? Leave space in front of them. Maybe try to capture what they are running towards. Are they walking away from a mess they have just made? Try capturing that in the same picture. In terms of background, it is quite good to try to have neutral and clear background. I always try to make sure there aren't people walking behind, or lots of mess or toys, or lamp posts growing from the top of heads and so on. You might also want to think about the colour of their clothing - for example I like the picture below with green grass and red dress. It pops out nicely. 8. Take lots and lots of pictures. I can't stress this enough - if you want one brilliant shot, you might have to take a hundred or more of mediocre ones. Snap snap snap away. Kids move fast, and many of the pictures end up blurry, out of focus, with wrong focus point, them facing away and so on. The more you take, the more chances there is for that perfect shot to be amongst them. 9. Limit their movement (when necessary). If you want to take a perfect portrait, you might have to limit their movements. Little kids probably won't follow direction, so the easiest way to get them stay still is to put them on a swing. While they are waiting for you to start pushing, you can usually get quite a few nice pictures of them while they are still. You could also give them a new toy and as they are mesmerised by it, they usually stay still for a moment examining it, when you will have your chance to take some candid shots. 10. Camera settings: Focus on the eyes and use high shutter speed. Focusing on the eyes is so important - if you can use an autofocus points on your camera, make sure they are on the eyes. You might want to deliberately focus on something else from time to time, but generally speaking focusing on the eyes makes the picture "pop" so to speak. When people look at pictures they are first drawn to eyes (numbers and primary colours are other key focal points as well). High shutter speeds - for kids I would use 1/250 minimum, even more. 1/400 should be OK for normal photography, and if you are trying to capture pictures of them jumping or running around, you could try even higher shutter speeds. I find using "Shutter Priority" setting on your camera handy - it is sort of a semi-automatic setting where you set the shutter speed and your camera does the rest. Enables you to focus on taking pictures rather than fiddling with all the settings. OK, so that was my top ten tips, although I think I may have crammed in a lot more individual tips under each sub section. So maybe it is more like twenty top tips. What did you think of these tips - do you think they might help you? And what is you top tip for taking pictures of your kids? Toddlers are a difficult subject to capture :) You just need to keep your camera ready and just hope to get some nice shots, maybe from afar, letting them forget you are there with your camera :) Good luck with that! Thanks :) Natural light is probably the biggest factor, very difficult to take good pictures indoors without the proper professional lighting equipment. I hope these will help you - they really are quite easy and you can do them (except the last one) with practically any camera. These are some great tips, I love the one about getting down to their level, I really should try that more! I always try to get on the same level - I think it just brings a great feeling to the pictures. It can be fun to try different viewpoints too, like taking pictures of your kid so they are standing up and you are below them. Great fan of number eight here. Thank goodness for modern digital cameras is what I say. I tend to only take pictures of the kids when we are out doing something. I could definitely spend some time making photographing them the activity actually. Point three taken on board! Thank you for the kind words :) hope they will help! Yep.. just start taking pictures and don't stop, take tons of them. The best purchase after getting a dslr was getting a 50mm lens for taking portraits of your kids... awesome!